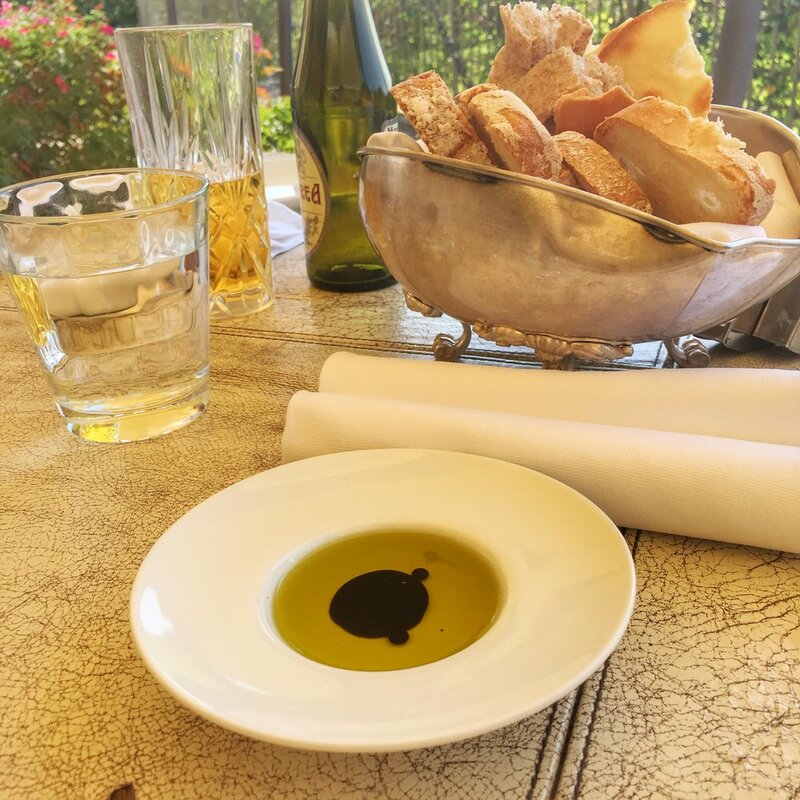 Stefan and I are currently enjoying the wonderful sights, smells and scrumptious food of Fiesole, on the outskirts of Florence, Italy. We are here as honoured guests of our wonderful Cayman friends Niko and Bianca. And wow, it is more gorgeous than I could have ever imagined and we haven't even got to the Castle-set wedding yet - that's soon come! 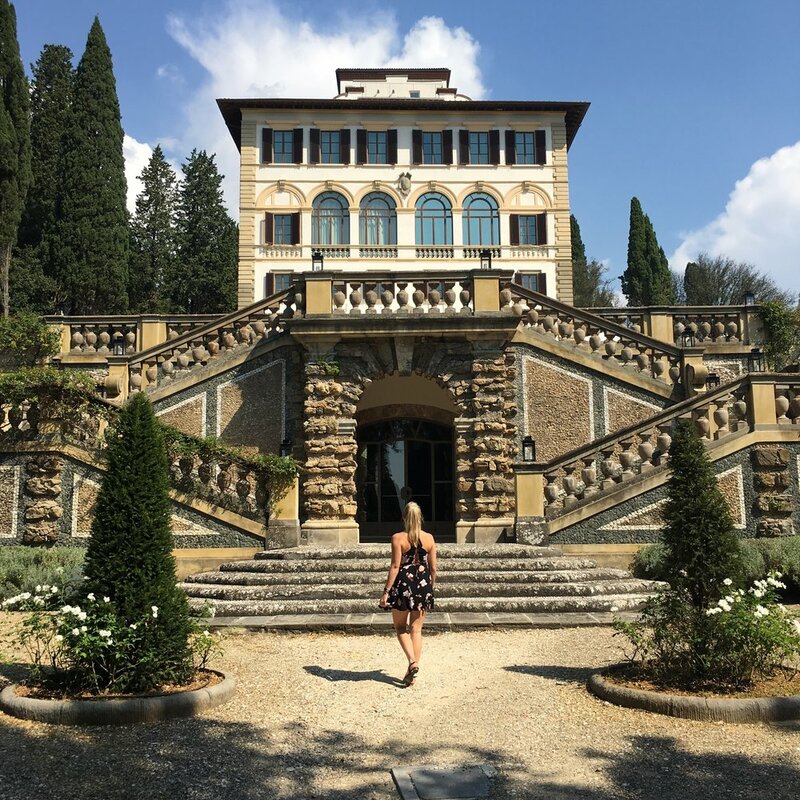 But being truly honest, I had my blogger heart set on staying at the insane Il Salvatino - it's a 5 star hotel set on the most stunning grounds just down from where we're staying. Rooms are suites, obviously, and have green walls and free standing tubs. Are you with me yet? However this idea was over-ambitious, starting at €500 a night for a stay of 4 nights, it would be way beyond our budget. One can dream right? Wrong, the secret is not to blow your entire budget on sleeping at these places - heck, what can you enjoy while you're sleeping - but to go for lunch! Stefan and I, or Schtefano as Italy has rebirthed him, took a lovely stroll to the hotel that was just down from us and took in the splendour from the winding walk up. The grounds did not disappoint but the hotel itself was just so stunning to see in person. We were able to enjoy a delicious fresh lunch, two beers and a coffee over the amazing gardens and it was the best €80 we could have spent! The inspiration you get from viewing such historic and prestigious places should not be left for the mega-rich. Why not go for lunch at the place of your dreams? There's no such thing as a free lunch but this felt pretty close!